TryC is C compiler for Mac computers and beginners. Using TryC, you can develop, compile, and execute a C, C++ and Ruby program just like text editor. 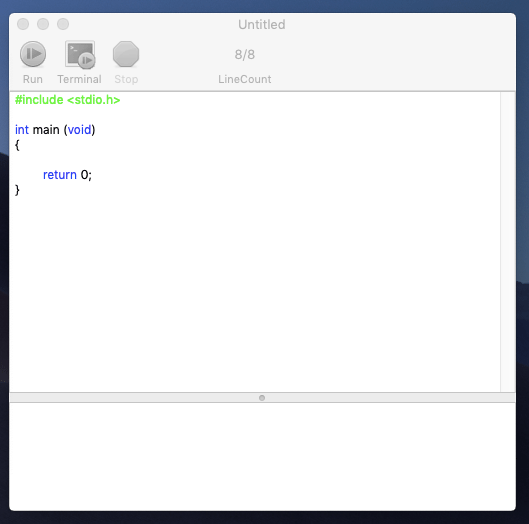 Once you have completed developing your code, TryC will help you to compile and run it with just a for a few seconds. The program tested with macOS Mojave. System requirements: The program requires OS X 10.3 or later (macOS Mojave). Download popular messenger ICQ for Mac OS. Messenger with free super quality voice calls, protected video chat, and file sharing across all of your devices. Install and Configure wget on macOS. System requirements: The program requires OS X 10.7 or later.